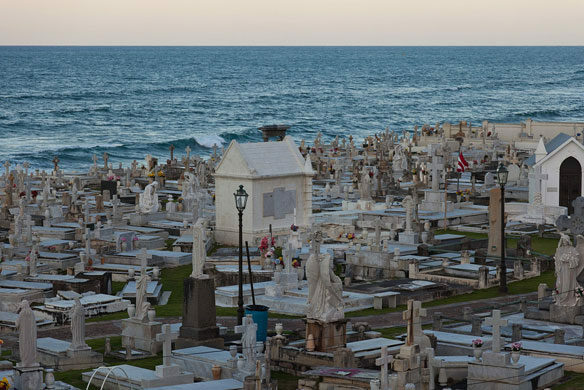 El Morro Cemetery, Puerto Rico. Photo source: ©© Kevin Baird. A cemetery is a place of respect for the dead and its location is chosen with the expectation that it will be there for generations. Cemeteries in coastal areas were not located with the expectation that they would flood or fall into the sea. But most of the world’s ocean and estuarine shorelines are eroding — some slowly like California’s rocky coasts, and others rapidly like the Carolinas’ barrier island coasts.